No matter how well prepared you are, moving home can be one of life’s stressful events. It is often a costly venture both emotionally and financially. Here are 5 factors to consider when calculating the cost of moving home. Obviously short moves are far less costly and can often be carried out without the need for a removals company if finances are tight. However moving across the country requires much more planning, so a call to the moving experts may be in order to help ameliorate the complex logistics of long distance moves. The moving costs incurred for a 1 bedroom flat move compared to those of a 4 bedroom family home, are going to be vastly different. The type of items being moved also plays an important factor. Moving a piano for example, will require specialised equipment and extra removal staff which may add to the overall cost. It is always advisable to get a fixed quote before any moving work is carried out so you don’t get any nasty surprises. If you have a close knit group of friends and family and access to suitable transport, you may be able to save on the costs of hiring removals professionals. However, be wary of friends expecting some kind of non-monetary payment for their hard work, such as a few drinks down your new local or a take away after the move. The run up to a move is often a very busy period. 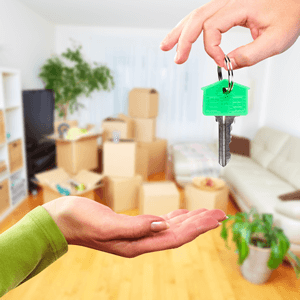 In addition to packing up your worldly goods, you need to inform utility companies of your move, organise new schools for the kids and take care of a plethora of other tasks that could make up the subject of a another blog post! As the adage goes, time is money and in the moving game, the more time you have, the less likely your need to pay for a packing service or to require moving professionals to help you move. Moving large pieces of furniture from house to van requires physical strength and stamina. If you are physically challenged in any way, you are more likely to need the services of a moving company to help you. We hope that this post has better informed you of the main considerations that need to be accounted for when it comes to calculating the cost of moving home. Of course giving you an exact cost is impossible and outside the scope of this blog, but feel free to request a no obligation quote by completing this form and we will get back to you with a fixed price for your move.